Pete Lanteri, former Marine is also a man who started a group to counter Jade Helm 15 keeping watch on what is going on etc.. But when you dig into this man’s beliefs and values and realise that he has fallen for the propaganda of this false race war that is all over the media in the USA and has such racist and Bigoted views ..Should you really be putting your trust in people like this to protest you and your rights I mean seriously..This man wants to round up anyone who thinks black people are ok..or has any views that do not tally with his and have them charged with treason!! If you truly believe that a man like that should be running a counter Jade helm group then I feel sorry for you.. In my opinion with a man like that at the helm you/we seriously need help!! this article that was originally on Ring of fire radio dot com explains it all. 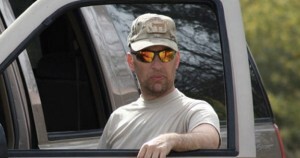 Texas Counter Jade Helm Leader – When Blacks Are Killed, I Smile – Machine Gun Down Un-Americans. Pete Lanteri, former Marine and the organizer of “Counter Jade Helm,” the volunteer surveillance keeping tabs on the military training exercise known as “Jade Helm 15,” is also a violent racist, reported Talking Points Memo. During an interview, Fox News Radio’s Alan Colmes asked Lanteri about his Facebook page. Lanteri backpedalled and said he doesn’t actually think what he writes. 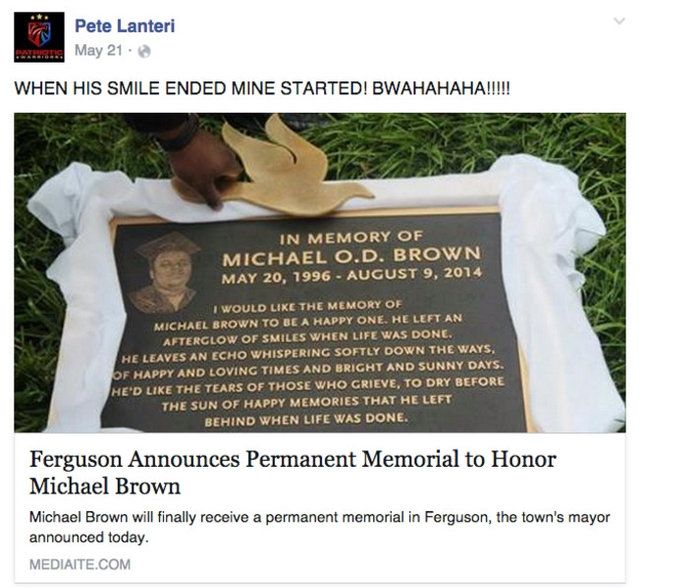 Here are some screenshots of Lanteri’s insane Facebook page. DO YOU REALLY WANT SOMEONE LIKE THIS IN CHARGE OF FIGHTING AGAINST JADE HELM AND LEADING A RESISTANCE REALLY!!! I KNOW I DAMN WELL DON’T! !